A wide range of innovative companies from the world’s leading organic nation, Denmark, will attend this year’s BioFach. 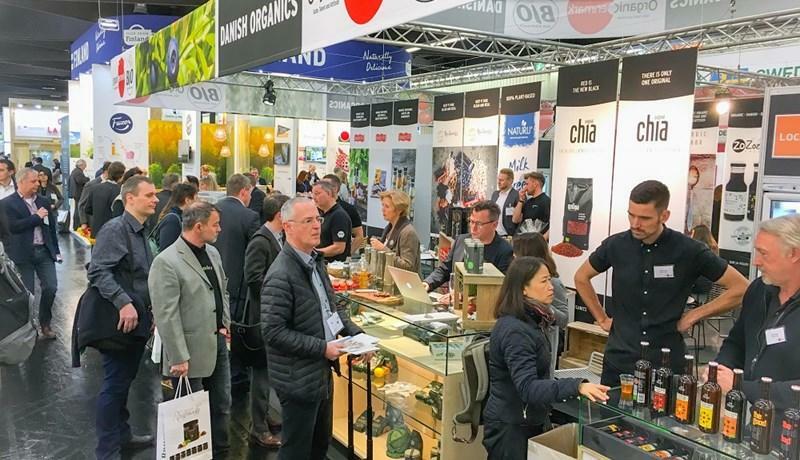 More than 40 Danish companies will exhibit at the joint Danish Stand in Hall 5 (stand 5-111, 5-119 and 5-135), which is hosted by Organic Denmark and Bio aus Dänemark. In only four years, the organic export has doubled and the organic sale in Denmark has reached an organic market share of almost 10 percent making Denmark the world’s leading organic nation. When the world’s leading trade fair for organic food takes places from 14 -17 February 2018 in Nuremberg, Germany, Organic Denmark and the network Bio aus Dänemark are behind the Danish export initiative with more than 40 Danish companies. On the Danish joint stand you will find products ranging from organic dairy products, eggs, meat, fruit and vegetables to snacks, beverages, chocolate, candy, ice cream and several convenience-products. You will also find lots of organic free-from-products and vegan products. - The organic sale in Denmark has increased for more than ten years and the consumers’ demand for organics is constantly expanding to more and more product categories. As a result the Danish companies are also constantly developing new exciting products for all consumer types as well as the food service sector. Many countries have already taken an interest in the long-standing Danish traditions of organic product making and the high innovation level among the Danish companies is also one of the explanations for why the export of Danish organics has doubled in only four years, says Pernille Bundgård, International Market Director in Organic Denmark. The organic market share of the total food sales in Denmark is 9,7 percent, which is a world record. In total, the Danish organic producers have exported goods for 322 million Euro in 2016, which is an increase of 23% compared to the year before. 39 percent of the total export of Danish organic products exports to Germany, which is the biggest market. Organic Denmark expects that the total organic export from Denmark will reach more than 400 million Euro within 2018.